Show at the Rex Theater September 6th! 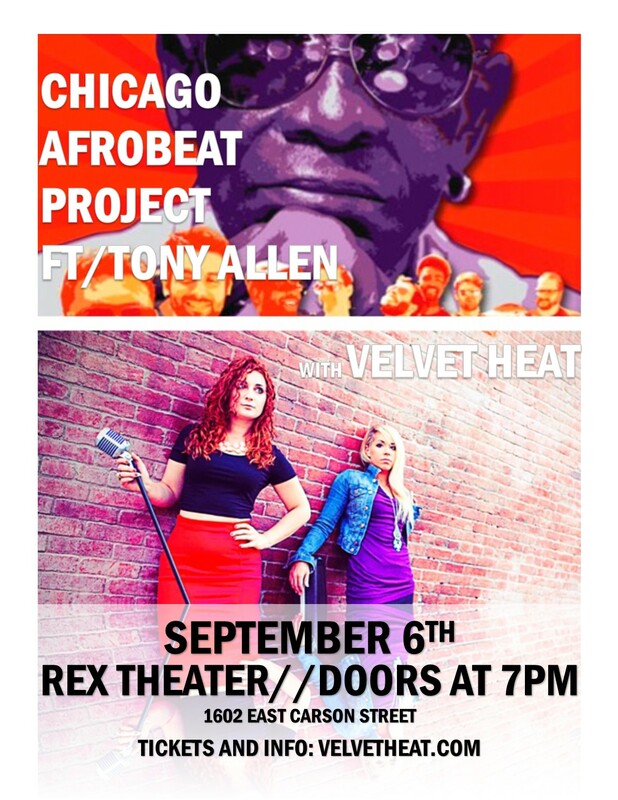 On Saturday, September 6th we’re opening for Chicago Afrobeat Project ft/Tony Allen at The Rex Theater! Doors at 7pm. Show at 8pm. Tickets available here: Showclix.com. Chicago Afrobeat Project frequently reinvents itself within a genre first pioneered by Fela Kuti. The group’s latest release Nyash Up! shows the group redefining their signature version of afrobeat by incorporating elements of hip-hop, orchestra-like musical arrangement, and stylistic explorations of rock, jazz and funk. We will be opening up the night and playing new original music from our forthcoming EP.